Juicing vs Blending - What's the Difference and Which is better? Those are the questions many of us have posed to ourselves at some stage, and today, we are going to explore the answers and lay to rest the argument as to which is better. ​Juicers and blenders are definitely taking over kitchens everywhere, and that’s mostly because people are starting to live healthier lifestyles. With a good quality juicer or blender to help you out, you can make smoothies and juices that will give your diet the boost it needs. ​What many people need to realize though is that juicing and blending are two very different things. Depending on what you want to achieve, you can pick either a juicer or a blender with the features that you’re after. But before you even go there, you should first understand the difference between the two. One of the key differences between juicing and blending is what it does to the fiber in the produce you’re working with. What blending does is basically blend everything you put in there into a nice smoothie – juice,pulp, skin, sprouts, and everything else. This means you get all the gut-friendly fiber as well as all the nutrients that you need. ​On the other hand, juicing extracts the juice and leaves the pulp out. This means you basically get the liquefied and concentrated form of all the vitamins and minerals that can be found in the fruits and vegetables that you’re processing. You get a packed version of all the good stuff without having to also process the fiber. Because juicing eliminates all the heavy pulp and leaves you with just the juicy goodness, you get so much more nutrients per ounce or per glass. With juicing, your body absorbs all the nutrients faster whereas with blending, your body still has to breakdown all the fiber. Because everything is absorbed by your bloodstream faster, you have to be extra cautious with juicing especially if you’re just juicing fruit and you have problems with your blood sugar. Another key difference is that with the kind of smoothie you get from blending, you feel full a lot faster than when you juice, as it has all the pulp and fibrous goodness so your appetite is curbed almost immediately. Is it Better to Juice or Blend? Blending and juicing are very different, and they each have good points that make them ideal. There are many who get confused and even think that the two are interchangeable, but that is not the case. It’s not about whether one is better than the other but really about what is better for you. ​Generally, juicing is better especially for those who are in it for the nutritional value and healing properties. If you’re doing this because of the potential health benefits it can give you, then juicing is definitely the better of the two. ​This is because juicing allows you to maximize the quantity of health-boosting enzymes,vitamins, minerals, and nutrients that would otherwise be impossible to get in one sitting – unless you are willing to eat an insanely large quantity of fruits and vegetables. This is not to say that blending does not have its benefits, (as we've touched on above and look at more specifically also further below), and depending on what your ultimate goals are you can go with either one. In many cases, going with a juicer for your fruits and vegetables is the better option. Read on to find out when you should opt for a juicer and nothing less. When your body needs to heal, juicing is your best option. This is because your body absorbs the optimum nutritional benefits almost immediately, so much faster than when you eat fruits and vegetables or when you blend to make a smoothie. When you want to cleanse your body of toxins, juicing will get you there so much faster. With a juice cleanse, you can give your body an immediate boost, and because it doesn’t have to worry about digesting all the fiber that’s in there, it can focus on the cleanse process. When you’re not comfortable with the roughage that you get in smoothies and you hate drinking pulp, your juicer is your new best friend. This also means a juicer is your best bet if you want something that’s incredibly easy to drink. More hydration that gives your body a liquefied boost of vitamins, minerals, antioxidants, enzymes, and phytonutrients. You get an insane quantity of nutrients that you wouldn’t get otherwise. You don’t get the insoluble fiber because the pulp is separated. It’s easier to spike blood sugar, especially if you concentrate on fruit juices. Your body absorbs everything faster so you have to be more careful that fruits and veggies are pesticide free. When your priority is getting a good amount of fiber because you want to give your digestive system a lot of work, then a blender will do that for you. When you’re worried about spiking your blood sugar and you don’t want to think about whether the fruits and vegetables you’re juicing are giving you too much, then you would benefit more from a blender because all the fiber slows down the absorption rate. When you want something more filling that can curb your appetite, then a blender will give you that more than a juicer. You get all the fiber that’s good for your digestion. ​There’s no waste to deal with afterwards, because practically everything is blended. Depending on what fruits and vegetables you’ve used, there’s often a texture to the smoothie that makes it harder to drink. Not many vegetables blend very well such as leafy greens or broccoli. While juicers and blenders both have some really good points, and you can use both to process all kinds of food items, when it comes to fruits and vegetables, you’re better off with a juicer in my opinion. ​This is especially worrying because vitamins and nutrients are critical in protecting our bodies from all kinds of diseases and threats. ​Juicing not only gives you the maximum yield from whatever you put in the juicer, it also makes it easier for your body to digest and absorb these nutrients. ​What you need to ensure next is that you have the right kind of juicer that will really help you achieve all your goals. 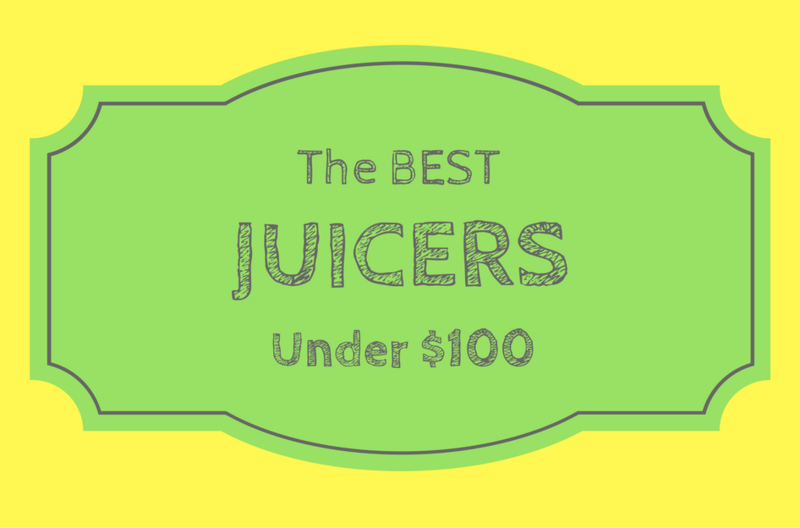 ​I've tested more than a dozen different juicers over the years, and I've put together a comprehensive Juicer Buying Guide to help learn about the various types of juicers and all the pros and cons of each.